Real life is taking precedence these days, and I have not been able to work on Slackware so much lately. I did release some updated packages last week. 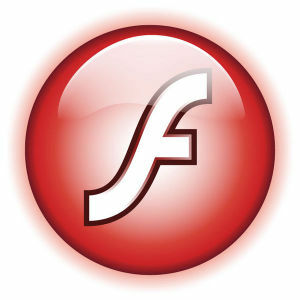 The Flash update which triggered the new Chrome/Chromium release was announced along with a security bulletin by Adobe. My pepperflash-plugin package which I extracted from the official Chrome binaries (for use with Chromium) is now at version 14.0.0.125 while the accompanying Linux flashplayer-plugin (for Mozilla-compatible browsers) went up to 11.2.202.378. Oracle released their Update 60 to Java7 a week or so ago, and it took a while to get the icedtea framework synced up to Oracle’s new OpenJDK drop. The icedtea bug tracker saw many bugfixes being applied in recent days. The icedtea version went up in minor release number: from 2.4 to 2.5. The icedtea-2.5.0 release will compile OpenJDK 7 “Update 60 Build 30” (resulting in a package openjdk-7u60_b30). Posted: 15 June, 2014 in Slackware, Software. Thanks as always Eric for these updates. I can appreciate your “real life” constraints. Mine (family) have been daunting for the last year or two but getting better. Be well. Can I install your wine and wine-pipelight be installed together? If yes, will it screw up playonlinux? 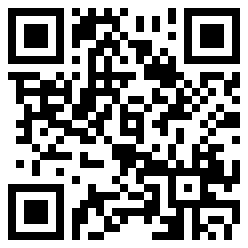 Wine and wine-piplelight can be installed simultaneously, the installed files will not interfere. I am not sure about _running_ the two versions of wine at the same time (i.e. activating a Windows browser plugin theough pipelight while at the same time playing a Windows game through regular wine), it might be that there will be some interference but I have not tested this ever. The two _will_ use separate wine-prefixes so that anything you will install or reconfigure stays private to that version of wine or wine-pipelight. I have the most recent version of your chromium packages (including the pepper flash plugin) and notice that videos in youtube and facebook say that I need to have the flash plugin installed. When I go to about plugins I do not see a listing for flash listed. Is flash disabled somehow? Update: The above post was for what I noticed on my tower. I tried reinstalling the chromium packages on my tower and flash video started working again. On my laptop I did notice that the sound on flash video stopped working. Both my tower and laptop are dell inspiron machines and both have slackware 14.1 64 bit installed. I tried reinstalling the chromium packages on my laptop and now flash doesn’t work on my laptop, however it works now, with sound, on my tower. I have to be missing something, but at the moment it escapes me. 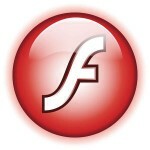 Justin, in order for Pepper Flash to work with chromium, the package modifies /etc/default/chromium . If you re-install chromium and install the file “/etc/default/chromium.new” on top of the modified /etc/default/chromium then Chromium will no longer see the Flash plugin. Perhaps that is what happened with you? Try re-installing chromium-pepperflash-plugin because that will update the configuration file again. That worked, thanks for your help!